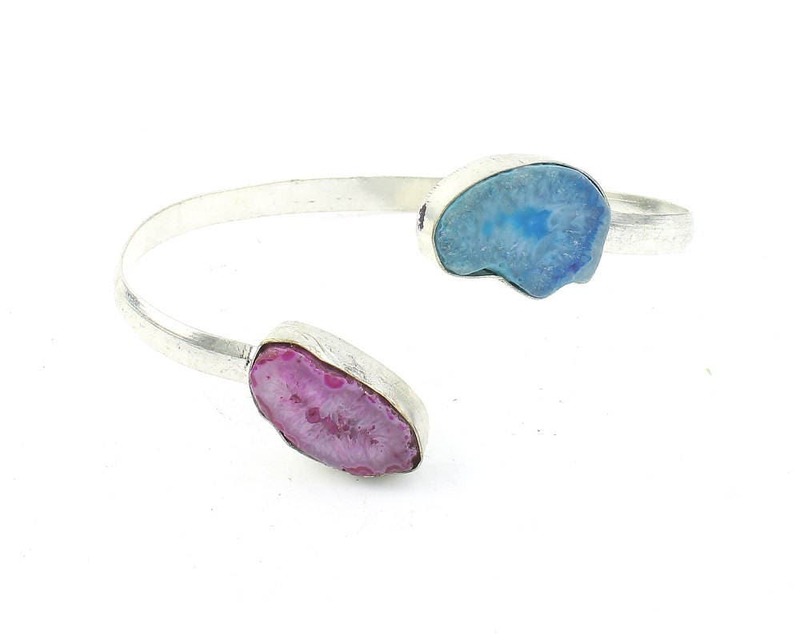 Pink and blue Agate stones set on thick solid german silver band. Can be worn on it's own, or looks great as a stacking piece. To be worn on a wrist, or can be adjusted for a lower arm cuff. Please Note: This is a genuine gemstone piece. These stones were made by nature, each is unique and may vary slightly from what is pictured.